This was a fantastic bottle of wine. The highlight of a brilliant dinner at El Faro del Puerto courtesy of Don Fernando – a prince among hosts. 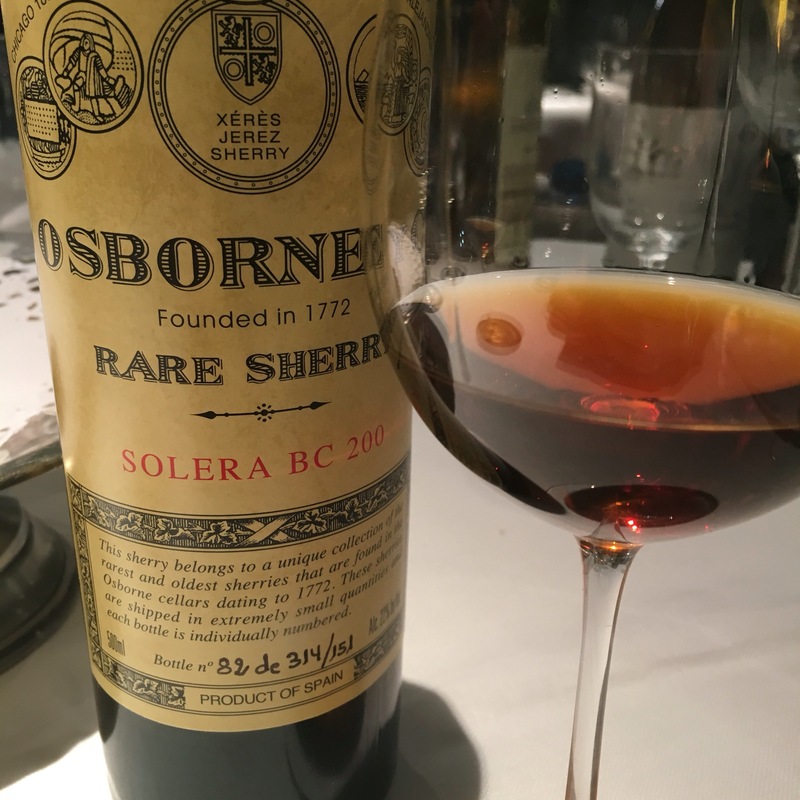 Not literally from 200 BC but pretty old nonetheless – has a pretty good ficha which explains that it is from a Solera founded in 1864 and would have an average age of 40 years or so. Fernando told us that these were the “Botas de los Consejeros” reserved for the executives with the biggest hats and also that it was the favourite wine of the Tsars (although it wasn’t clear whether the Tsars were executives of Osborne themselves). As the ficha says, there is a a 1/8th share of PX in here but it is perfectly integrated and, even better, there is none of the excessive astringency or concentration of some really old wines. It is full in flavour – some very pleasant spices and black treacle that really repays swishing around the tongue – but also has a nice acidic entry and an equally pleasant sweet tail to it. A really silky smooth wine all around in fact and a privilege to have tasted it.